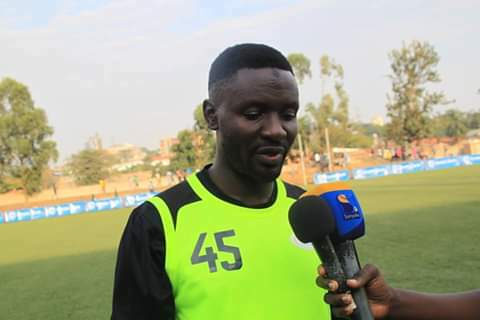 Proline FC head coach Shafiq Bisaso addressing the media in a recent match at the Star times stadium, Lugogo. Photo Courtesy, RONNIE LUSULIRE. Proline FC head coach Shafiq Bisaso has promised to give the best of displays against Kyetume FC when the two FUFA Big League sides meet in a double legged Stanbic Uganda Cup Semi finals. This was after the draws that were successfully held on Wednesday morning at FUFA house Mengo. “The draw is fair. Like the rules suggest, the winner with most goals will progress to the finals. We shall give our best over the two legs”. To reach at this level, Kyetume edged out Wakiso Giants at home on penalties while Proline knocked out last years’ finalists at the Star times stadium, Lugogo. Kyetume will host the first leg at Nakisunga Saza Grounds between 24th-28th April before the return leg slated between 5th-9th May at the Star times stadium, Lugogo. In the other draw conducted, Express FC will visit Bright Stars at the Champions stadium in the first leg before the return leg at the Betway Mutesa Stadium, Wankulukuku. The finals of this year’s Stanbic Uganda Cup will be played on 25th May at Masaka Recreational Grounds with the winner booking a ticket to represent Uganda in the CAF Confederations Cup.